This beautiful Corner Waving Tree with a Bird is a great addition to any room you choose to put it in! Our wall decals are ideal for offices, living rooms, entryways, classrooms, even your car or glass shower doors! Leaves may be placed however you choose, and you will receive over 50 of them! Tree comes in 4 sections for easier application. 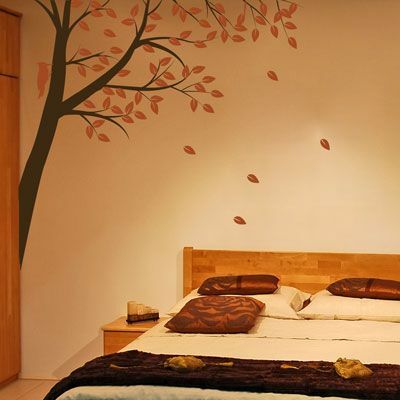 Leaves and small branches come separately so you can place them wherever you choose! Practice decals are included with every order. 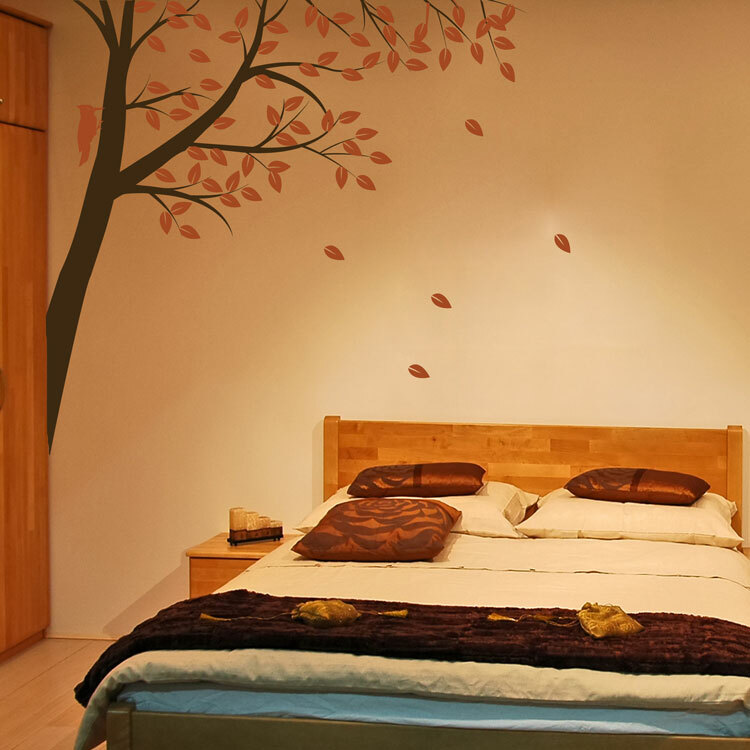 I purchased the cherry blossom tree in the wind decal for my daughter's bedroom. It turned out exactly as I envisioned it (lots of design for a little money)! Although, it was time consuming to put up, the included instructions and the video on your website made it easy. I am definitely recommending your company to friends and family! My husband bought me a wall decal for our newly renovated kitchen and I love it. I had searched for at least 6 months and through many, many pictures of wall decals and other items for my walls and this was the perfect one and it looks absolutely fabulous on the wall I had picked out for it. The color is perfect as is the size and I couldn't be happier.